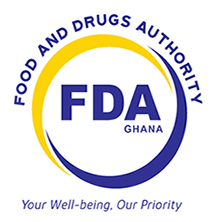 The Food and Drugs Authority (FDA) has held various stakeholder discussions with Importers of its regulated products to find the best way to improve and harmonise services to its stakeholders of the FDA. Opening the discussions with all the various categories of importers, the Chief Executive Officer (CEO) of the FDA, Mrs. Delese A. A. Darko, reminded the Importers that, the Public Health Act, 2012, Act 851, provides that FDA regulated products cannot be imported into the country without prior registration or market authorization by the Authority. Mrs. Darko further reiterated that violation of the provision of the Public Health Act would lead to the FDA ordering the importer to re-export the products at the cost to the importer and taking other strict regulatory sanctions which may include prosecution. “Therefore if a product is not registered, it should not be imported onto the Ghanaian market’, Mrs. Darko emphasized. She continued to stress that, “This policy would help to put quality products on our markets through enhanced market and border surveillance and would also create a well informed public through FDA enhanced public education”. Mrs. Darko also said, “this would allow the FDA to better control large volumes of imports and have better planned Good Manufacturing Practice (GMP) Inspections or Site Verification Audits”. The Heads of the various Registration Departments at the FDA on their parts explained that, delays in the registration processes is mostly caused by the stakeholders themselves, when they fail to respond to the queries raised by the FDA during the registration processes. These queries according to the Heads of Registration are usually communicated to clients through letters and the registration process comes to a halt once responses are not received from clients. The fora also discussed challenges and issues with respect to the Registration and Importation of the regulated products. The Stakeholders however appealed to the Authority to reduce timelines and modify requirements for registration of products. they also pleaded with the FDA to improve upon boarder surveillance to prevent the smuggling of unregistered products onto the markets. The FDA promised to review its registration processes and to make changes where possible. The FDA also assured the Importers that it is working hard to strengthen border surveillance, by is increasing its presence at the various borders as well as increasing collaboration with the local authorities such as the Customs Division of the Ghana Revenue Authority (GRA) to man the borders. The Stakeholders expressed their satisfaction with the meeting and were pleased that the FDA had involved them in discussions concerning regulation of products. The initial stakeholders meeting was for the Food Importers, which was held on the 16th of July, 2018, followed by the importers of Food Supplement held on the 6th of August, 2018, the Cosmetic and Household Chemical Substances importers on the 26th July 2018 and the last group being the importers of Medicines and Medical Devices, which was held on 9th August, 2018.